ARCHIVES of past "Paint Outs"
August 2016 OOPS Paint Out - Sunday, August 28, 2016 - Noon until... William and Terry Fields Property, Richlands, NC - Click HERE for event deatils. Organized by Jim Phillips. November 2015 ~ Paint Out ~ YO-YO (You are On Your Own)... No organized Paint Out but you are encouraged to paint on your own or organize small groups. December 2015 ~ Paint Out ~ YO-YO (You are On Your Own)... No organized Paint Out but you are encouraged to paint on your own or organize small groups. Breakfast, snacks, and lunch provided. An OOPS artist will teach 1 1/2 hour still life painting classes to three different groups of high school artists who are chosen for Onslow's "All County Art." Karen Crenshaw, Jim Phillips, and Bernie Rosage have taught in the past with several members joining in to paint along with the students. Any OOPS artists are welcome to join us for this special mentorship event. April 2016 Paint Out - Saturday, April 16, 2016, All Day! Art Block Festival... Downtown Jacksonville. August 30, 2015 - OOPS August Paint Out / Cook Out - Noon until - Bernie's house... 414 Brentwood Ave, Jacksonville, NC 28540. We plan to have a live model plus there are many beautiful homes, trees, and street scenes to paint. September 12, 2015 ~ World Wide Paint Out, Southport, Awesome venue with wet paint sale at 5pm. "From Sound to Sea Paint Out"
Oct. 16, Friday evening there will be a “Wine and Cheese Check-in Social" at the Host Home/Studio/Gallery of Irene Bailey and Don Wells. On Saturday morning, there will be a "Continental Breakfast" at the home of Debbie & Collin Peel. This is also an alternate check-in for those unable to attend Friday evening. 1) Host Irene Bailey’s Home, /Studio/Gallery is located on the spectacular Crystal Coast of Emerald Isle, NC. You can walk down to the beach or paint scenes of the ocean, sea oats, sand fences or beach homes from the porch. 2) The second home, a short distance away, is Debbie Peel’s which has panoramic views of the sound, marsh and seagulls and offers a lovely back porch, yard and boat dock from which to paint. Debbie is co-president of the Seaside Arts Council, the group sponsoring the “Wet Paint Sale and Artist Meet and Greet Reception” Saturday evening, Oct. 17th. This event will feature your Art Work, Live Music, Wine & Beer, and Appetizers. Local art supporters will have a chance to view and purchase your lovely creations. Both of these homes will have rooms available to rent. Other nearby locations to paint are ocean and sound public accesses; and the quaint fishing village town of Swansboro offering sound and river views, shrimp boats and historic homes and is located only 10 minutes away. Site maps will be provided at check-in. a "Wine and Cheese Check in Social". Saturday morning, October 17, 2015, from 8:00 – 10:00am, at 6402 Old Cove Rd. Emerald Isle, NC., Debbie Peel’s home, there will be an alternate Check in with complementary "Continental Breakfast" provided. Lunch on you own – See the link below for area restaurants. Saturday night, October 17, 2015, from 5:00 – 7:30pm, Visitors Center, Emerald Drive. “Wet Paint Sale and Artist Meet and Greet Reception”, sponsored by the Seaside Arts Council with Live Music, Wine/Beer and Appetizers. August 14-15, 2015 ~ NC Open Plein Air ~ Salisbary NC ~ Details HERE. 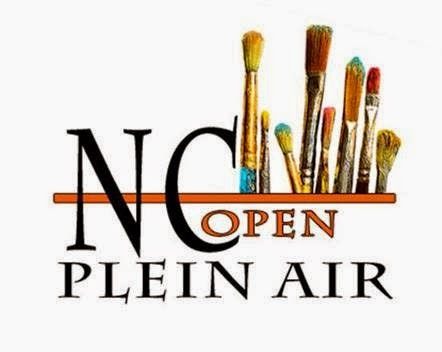 February 2015 ~ February 28, 2015 (Saturday) ~ Annual "Onslow County All County Arts" plein air painting with Onslow County's best high school art students. OOPS members, Karen Crenshaw and Jim Phillips, will instruct but all other members are encouraged to attend and paint along side these young artists and encourage them. The event will be at the Earl Taylor Building at White Oak High School from 8am until 4pm. Lunch and snacks will be provided. January 2015 ~ January 18, 2015 ~ Life Class at the Jean Wenner Studio ~ Noon until...Click HERE for all details. December 2014 Paint Out ~ YO-YO (You are On Your Own)... No organized Paint Out but you are encouraged to paint on your own or organize small groups. September 13, 2014 ~ Sept 13 is the 2nd celebration of the International Plein Air Paintout in Southhport...with a wet paint sell on the grounds of Ft Johnston (the Southport Visitor's Center....) mark your calendar and plan to come.....It was a Great Time Had By All last year... ~ Annual International Worldwide Paint Out ~ About IPAP's WW Paint Out HERE. September 20, 2014 - EXTRA OOPS Paint Out - For those OOPS artists who cannot make it to Southport for our IPAP Worldwide Paint Out (and those who can) we will gather to paint during the day (beginning at 10am till dark or whenever you can make it) at the ANNUAL RIVERWALK PALOOZA !! Details HERE! MAX EFFORT EVENT ~ OOPS June Paint Out - Saturday, June 14, 2014 ~8am - Until - Downtown Swansboro, NC - "Arts by the Sea" Festival in Swansboro. March 23, 2014 ~ Noon until ~ Miracle Meadows Equestrian Academy, Jacksonville, NC... Click HERE for details. April 11 and 12, 2014 ~ Southport, NC Paint Out and Wet Paint Sale ~ organized by Jim McIntosh ~ Click HERE for details. This event was AWESOME last year! January 26, 2014 ~ Annual Life Class at the Jean Wenner Studio at the Council for the Arts. Noon until 4:30pm... click HERE for details. Feb. 22, 2014 ~ Saturday, 8am-5pm ~ White Oak High School, Jacksonville, NC ~ All County High School Art Students Life Class Workshop ~ Bernie will teach four 1 1/2 hour life painting classes to four different groups of high school artists who are chosen for Onslow's "All County Art Students." Stephen, Mitchell, and Karen have always helped in the past and hopefully can do so this year as well... any OOPS artists are welcome to join us. January 11, 2013 Paint Out ~ Annual "Life Class" Click HERE for details. February 23, 2013 ~ All County Artists Workshop. March 17, 2013 ~ Freedom Fountain and City Hall Building across from the Council for the Arts. Click HERE for details and photos os site. April 21, 2013 ~ Historic Palo Alto Plantation House, Swansboro, NC. All the details can be found HERE..
August 4,2013 ~ Surf City Swing Bridge ~ Last chance... Paintings to be exhibited at Art Exposure Gallery Show in August. October 27, 2013 ~ LP Willingham Waterfront Park, Downtown Jacksonville. Noon until..
Click HERE for details and photos of site. Organized by Bernie Rosage. November 17, 2013 ~ Hampton Inn Suites on 1032 Hampton Inn Way, Jacksonville. Noon until... Wine/cheese event to be held one evening during the week following the paint out. More details to come. Organized by Patsy Lain. December 2012 Paint Out ~ YO-YO event. Click HERE for details. July 29, 2012 ~ OOPS July Paint Out ! Noonish until... Lawn behind Tidewater Gallery in Downtown Swansboro on the waterfront. Free outdoor concert at 6:30pm at pavilion... Click HERE for ALL details. May 20, 2012 ~ OOPS May Paint Out ~ Noon until... ~ Vistor's Center (Hwy 58) just before Bridge to Emerald Isle ~ We will paint the wild flowers near the bridge and visitor's center. February 25, 2012 ~ OOPS February Paint Out - Saturday, Feb. 25, 2012 ~ Onslow All County High School Students Workshop ~ Click HERE for details!